Since the early 2000’s, the green revolution has been underway. Especially in the last 10 years, we have seen countless commercial projects realign their sustainability priorities. With all the tax benefits, costs savings and positive social impact, companies are leading the way by investing in green buildings. As a business owner, you should consider the many positive impacts that sustainable architecture has on your budget, people and environment. If you are considering a new commercial building for your company, we will cover some of the best green building ideas that you integrate into your next space. Many commercial green buildings are integrating solar power into their architecture plants. This makes the building more energy efficient. Depending on the geography and lighting, the building could produce enough energy to feed back into the grid. Especially in sunny regions, a solar building can collect a significant amount of power during the course of a day. Additionally, the number of tax incentives and grants available to solar projects make the cost benefits more attractive. If you are going to start a new commercial project, integrating solar power into the energy source would be a smart initiative. Another innovative green idea, business owners can include detailed energy monitoring and reporting devices. These devices count the number of watts consumed by the building overall. This can keep your company accountable for its carbon footprint and greenhouse emissions. By including detailed monitoring and reporting into the building, your company can consistently improve its energy usage and office efficiency. Certainly, energy monitoring and reporting devices are a great idea for sustainable building projects. Rather than relying on electricity, modern green buildings maximize the use of natural lighting. Many green buildings have skylights, windows in the ceiling that allow natural light to come in. Moreover, your company can take this one step further by transporting sunlight to darker areas. The buildings that maximize natural lighting require less energy and can operate with lower costs. On top of that, natural lighting is best for creating a positive working environment. When creating your commercial building plans, ensure that natural lighting is a top priority for productivity, energy usage and costs. When constructing a new green project, the interior walls and infrastructure should contain sustainable materials. You can choose metal wall systems that meet LEED standards, ensuring quality and sustainable materials. Using recycled materials, metal panels that go into walls could have a lower impact on your carbon footprint compared to using traditional lumber materials. Furthermore, a quality wall system has better insulation, moisture management and cooling properties than traditional walls. These factors will add to the sustainability of the building in the long term as well. Of course, metal wall systems that utilize recycled materials and make the building more energy efficient are great additions to a green building. While creating the architecture layout of a new green building, plan for natural spaces. Buildings are no longer separate entities from their environments. The best green building ideas naturally blend the building into its environment to create natural spaces. These spaces can include an outside courtyard, open rooftop or easy accessible walkway to mass transportation. The best buildings are able to maximize the value of their surroundings in various ways. When planning out the architecture of the building, look for unique ways to create natural spaces that decrease your companies carbon footprint through design. 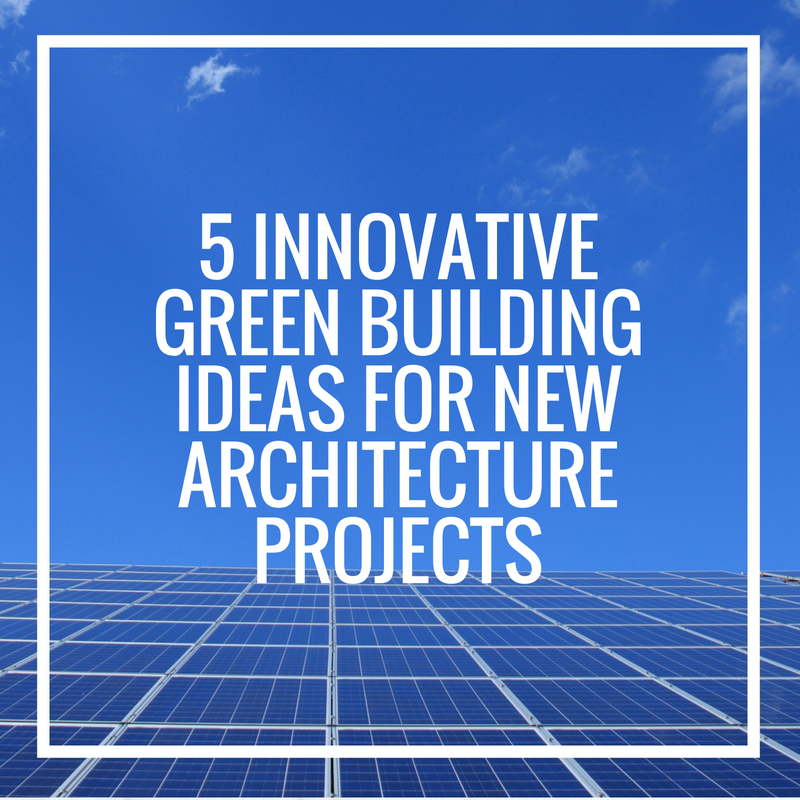 Leading a project, you have the opportunity to create a green building. Whether you are starting a new construction or remodeling an existing building, there are many ways to make the building sustainable. You can incorporate sustainable energy like solar power. Then, you can implement solutions to track and monitor the energy usage. More so, you can include structural design and components to make the building energy efficient. Using skylighting and metal wall systems, you can improve the efficiency of the building overall. Finally, you can plan to create natural spaces that integrate with the surrounding environment. If you are able to successfully build a green commercial project, you can be proud of the cost savings, better working areas and improved sustainability of your company’s impact on the environment.